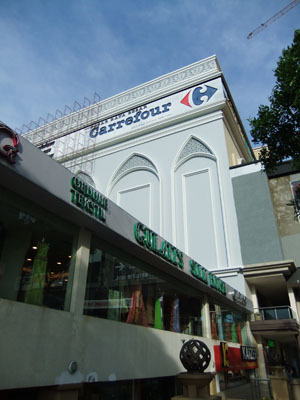 Next stop, the Mahkota Parade. 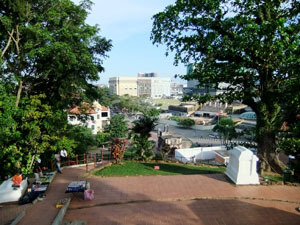 This whole area is linked to Dataran Pahlawan and surrounded by historical sites. The A’Famosa and St. Paul’s Hill and just around the mall. We took a short walk over to the The Proclamation of Independence Memorial. 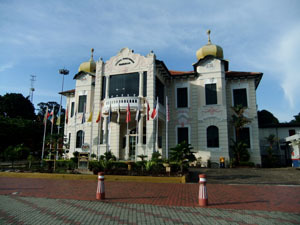 This was built in 1912 and documents Malaysia’s struggle to achieve its independence from the British colonial rule. 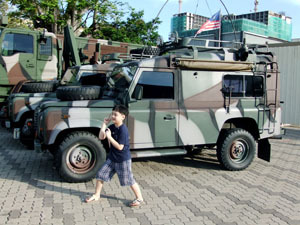 Aiken posing with some of the military vehicles parked opposite the Proclamation of Independence Memorial. 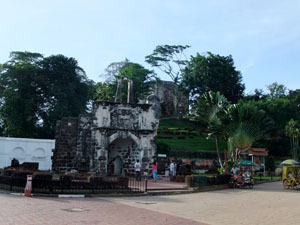 Directly opposite is the Porta De Santiago (A’Famosa) or rather whatever that remains. 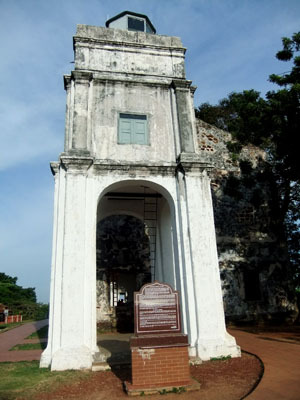 It was built by the Portuguese as a fortress in 1511. The Dutch destroyed most of the fort but what remains today was saved by Sir Stamford Raffles (Ya, the same one standing at Singapore River...) in 1810. 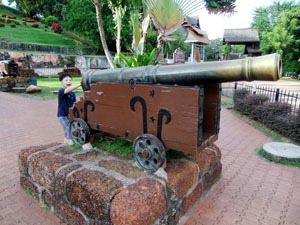 Aiken posing with the cannon outside the fort. 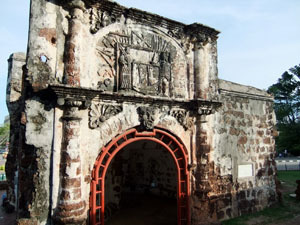 Another look at the fort. If I am not wrong, the inside of the gate is the coat of arms of the Dutch East India Company. View from the top of St Paul' Hill. The hill is like more like a museum district. This is the exterior of St Paul' church. Inside the ruins of the church, one can see tombstones with Dutch writing engraved on them.